How much money should you have saved for life’s unexpected events? More importantly, how do you make room in your budget to finance an emergency fund? The experts at Tio Rico Te Ayuda are here with tips to help you learn some quick and easy ways to get your emergency fund started! Research confirms that people who set goals and write them down or are vocal about them are significantly more successful and more likely to achieve their goals. In order to do this, you must make sure that your goal number is well researched, moderately set yet still slightly challenging, and reasonable. Financial experts also conclude that target numbers are different for everyone and depend on any specific personal situations and annual income. However, the same experts recommend that your target should include a minimum of at least three months worth of your salary. Sounds like a lot of money, right? Don’t get discouraged. These goals are long-term and comparable to losing weight. Results are seen over time and require a lot of patience and determination. Shoot for progress, not the goal number you set. If you save a simple $20 a week or cut $20 out of your weekly spending by doing things such as skipping coffee or having one night less out on the town then you could save up to $1,000 in a year. A great way to go about this is to set aside a certain amount into a fund each week or with each paycheck you receive. For example, if you waitress, you could set aside 20% of the cash you leave with each shift and put it straight into an emergency savings account. Make sure you pay attention to what you’re spending your money on and how much you’re saving up each week. Try checking out a mobile app to track your progress, or you could use the “old fashioned” way of an Excel spreadsheet. Being able to keep up with your goal and see how much you’ve saved up within a few weeks will make you feel great and be used as fuel to keep your savings goal successful. It may seem silly or unnecessary, but it’s a good idea to keep your emergency fund in a place that is safe, meaning that it’s hard to get to. Destroy the ATM card so you can’t withdraw any cash. 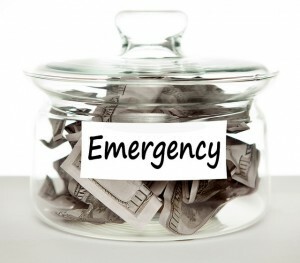 You want to avoid any temptation to dip into your emergency fund for non-emergency events. In the long run, you’ll thank yourself for having the patience and willpower to have built an emergency fund. In the event of any other emergencies, remember that Tio Rico Te Ayuda will always be there for you whenever you need loans in Arizona.